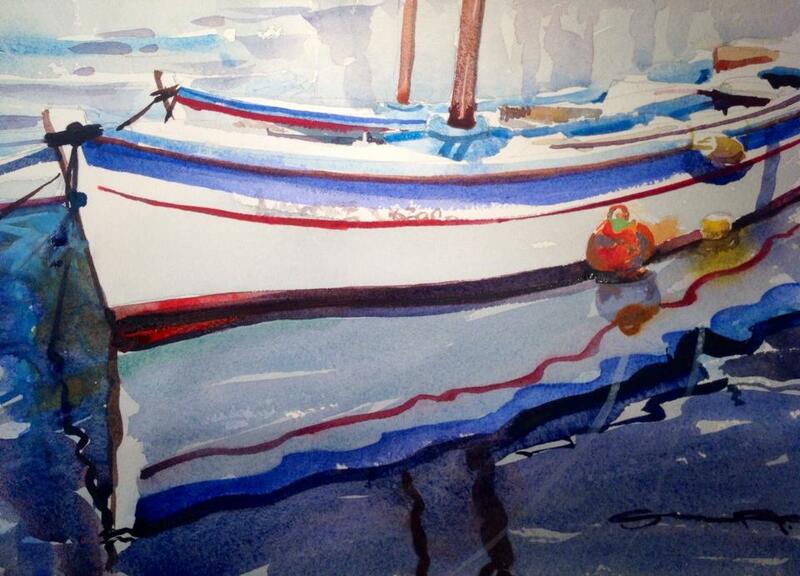 Steven Pleydell Pearce Fine Art Early Morning Tide, Hydra, Greece - Watercolour paintings by Steve PP. Gently bobbing on the morning tide, coffee roasts wafting across from harbour side cafes, sun slowly warming cobbles and painted wood. Ah Hydra!